Elisha Earley is a student at Michigan Technological University and an ISA Featured Photo Blogger. She is currently studying abroad with ISA in Stirling, Scotland. If you ever find yourself in Scotland, and wonder why you should wander north of Edinburgh or Glasgow, I have three words for you: Loch Ness Monster. If that isn’t enough to convince you, although I can’t imagine why it wouldn’t be, here are five more reasons for the skeptics. Scotland is very beautiful and as many Scottish will proudly tell you, it was recently voted the most beautiful country in the world. 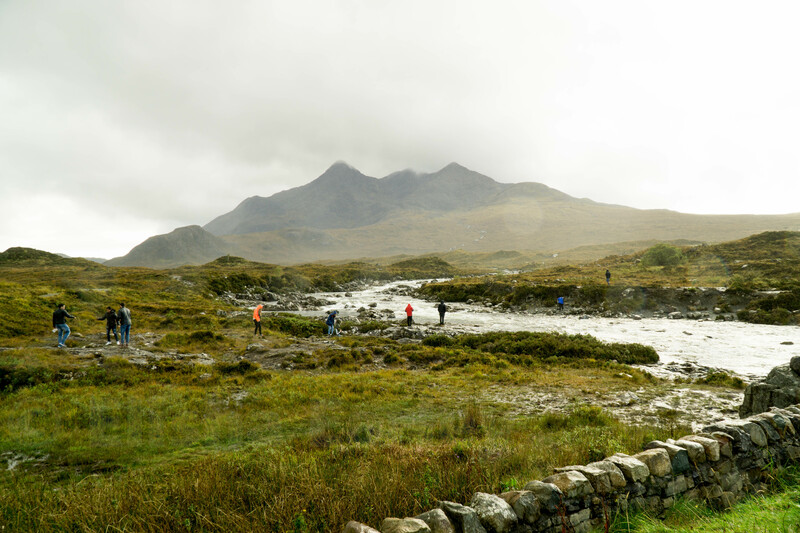 Besides being the home of the Harry Potter bridge and the scenic outlooks found around every corner, Northern Scotland has a very mystical feel to it. Some will attribute this to the mist and rainbows, others will tell you it’s magic. 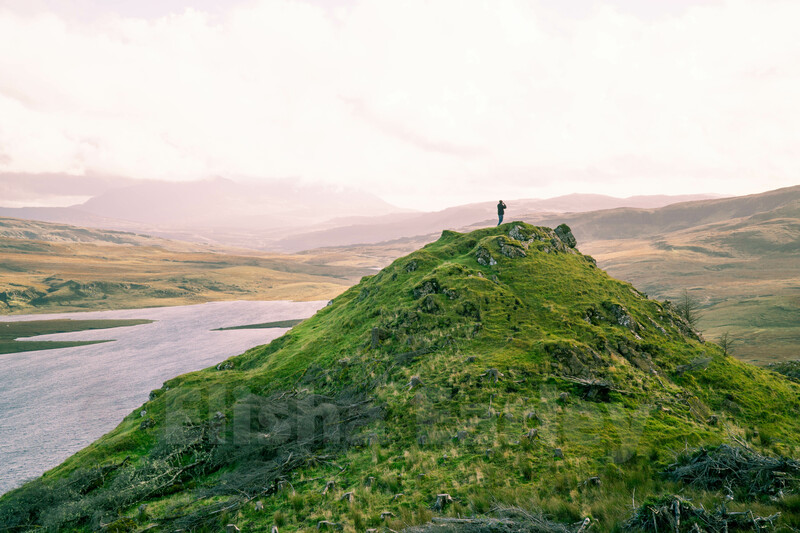 A hill by the Ole Man of Storr overlooking Loch Leathan and the Sound of Raasay. I know the fact that it may will rain at any given moment may not seem like a desirable weather pattern to travel to, but on and off rain showers are perfect for rainbows. In our short weekend trip in the Highlands we saw over 20 rainbows. The weather also helps create beautiful, dramatic landscape views with the sun peeking through the clouds. After a small rain shower, the sun came back out over this house which sits near Mealt Falls. 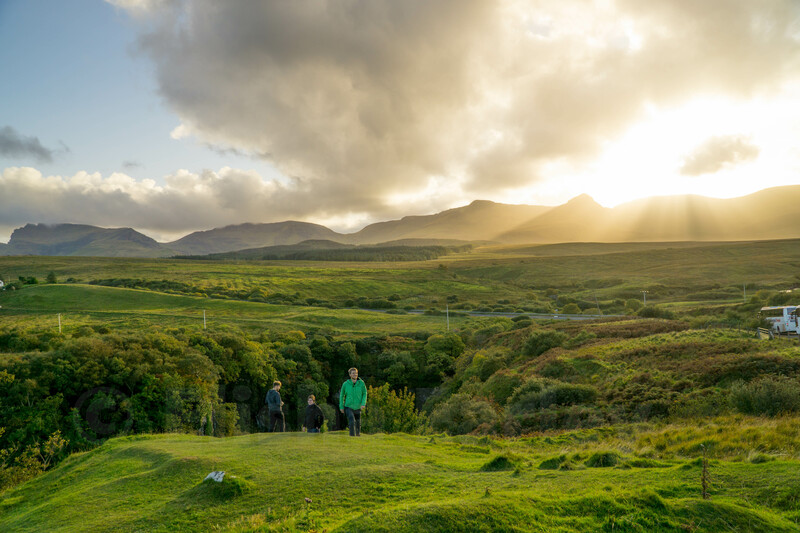 The sun starts to set above a roadside overlook on the Isle of Skye. Waterfalls seem to be almost as common as sheep in Northern Scotland. 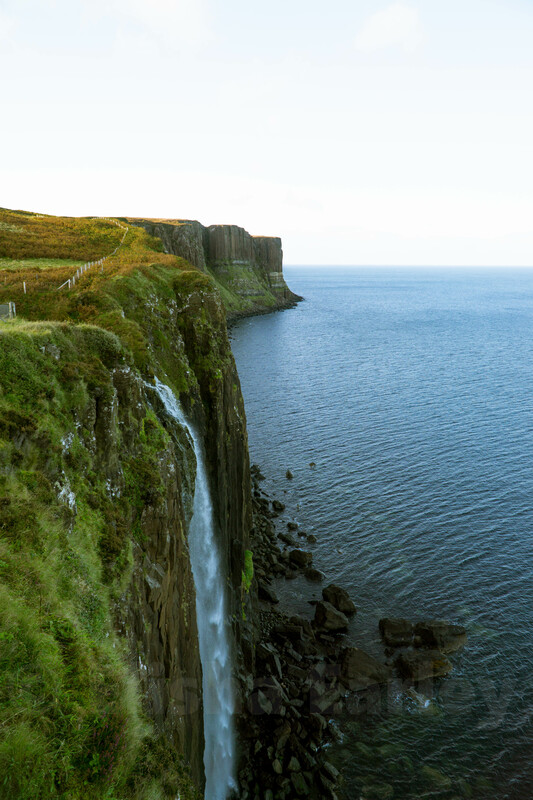 The one pictured below is Mealt Falls on Kilt Rock. The water flows from Lake Mealt into the Sound of Raasay. There are over 60 castles in the Scottish Highlands. Many have been destroyed or damaged but many of those what have been damaged have been restored. The Eilean Donan Castle, which is pictured below, is the most photographed castle in all of Scotland. Eilean Donan Castle is located at the intersection of three lochs: Loch Alsh, Loch Long, Loch Duich. 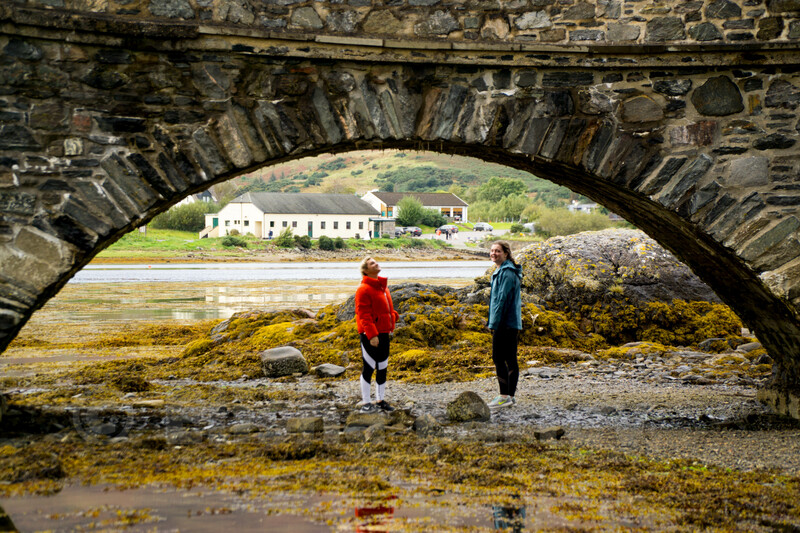 History can be found in every castle and town in the Highlands. 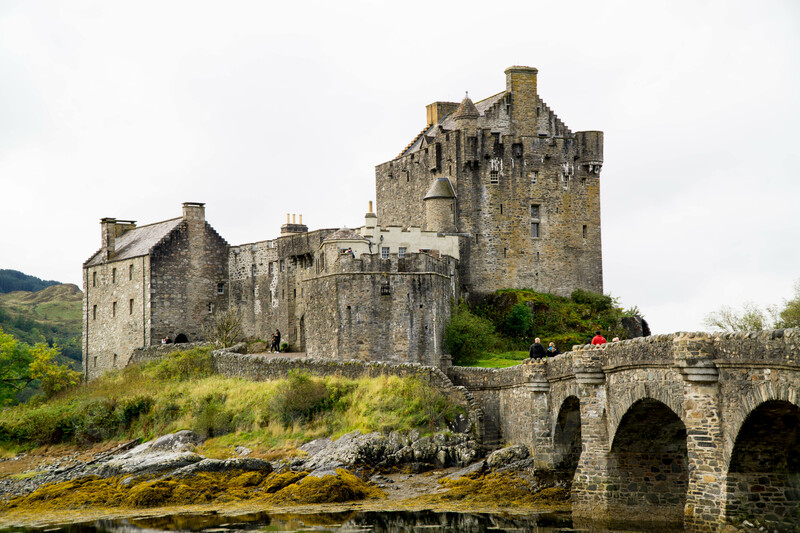 You can learn about how the Eilean Donan Castle was partially destroyed in the Jacobite Rebellion or why Glencoe is sometimes called the “Glen of the Weeping”. 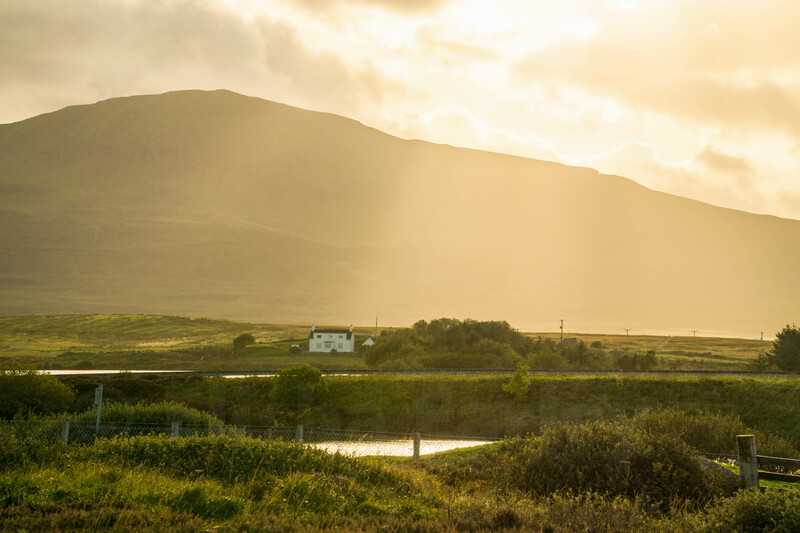 There are also many tales about landscapes in the Scottish Highlands. 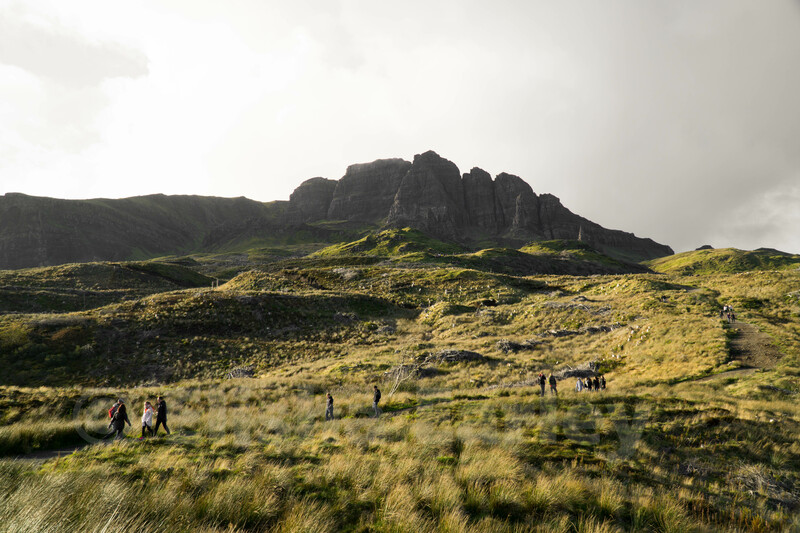 There are tales about both of the two places pictured below: one about how the rocks of the Ole Man of Storr came to be and another about why some people believe that dipping your face into the Silgachan River for 7 seconds will give you eternal youth and beauty.